The Suzuki Alto was a cheap and uninspiring little keconobox, but if you had the scratch, you could upgrade some of the metal bits (and plastic pieces) to the Works version, or better yet, the RS-R. The Works upgrades unleashed the full potential of the little s-box and turned it into a plastic scoop bedazzled fun box. 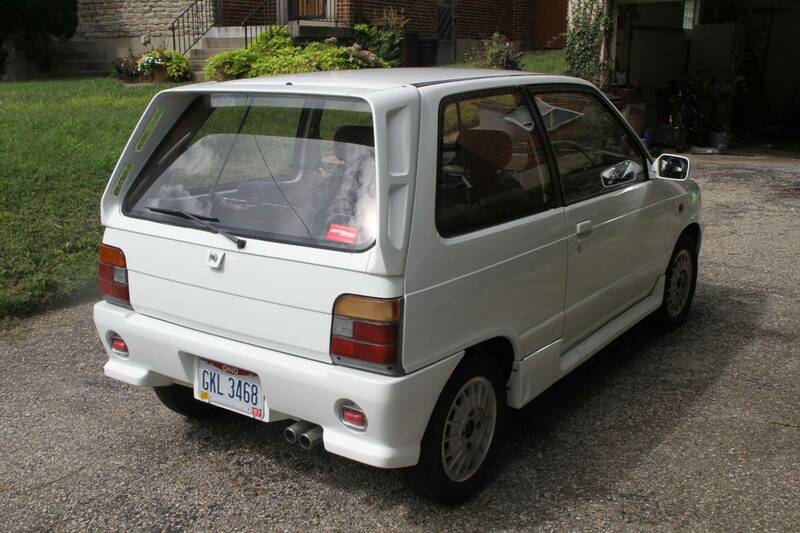 Find this 1987 Suzuki Alto Works RS-R offered for $7000 near Cincinnati, OH via craigslist. Tip from Rock On! 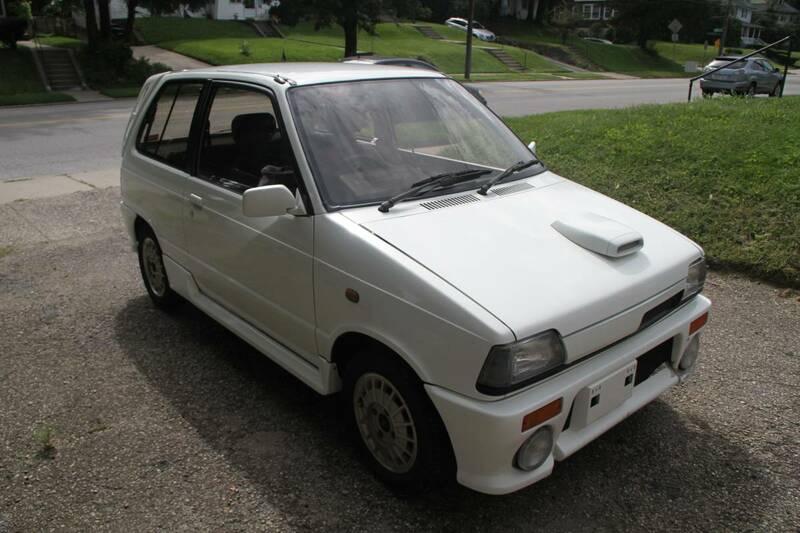 I'm selling an imported 1987 Suzuki Alto Works RS-R. This is a turbo charged, AWD, Kei car I imported direct from Japan (JDM). It is licensed and tagged and fully legal to drive (grandfathered in as exempt from DOT regulations for cars over 25 years of age). There's no other way to put it, it's a loud, outrageous tribute to the booming 80's in Japan and it's like driving a street legal turbocharged go-kart. 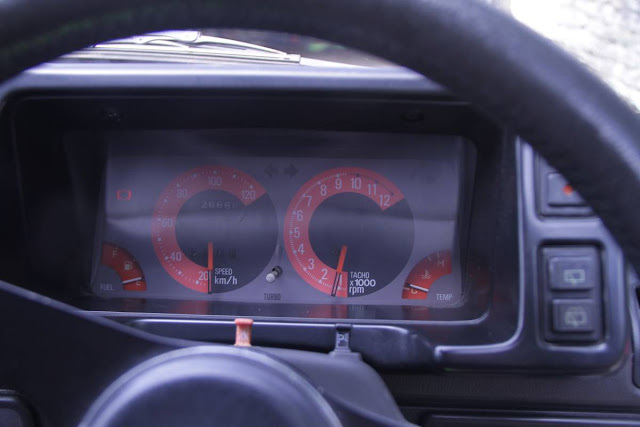 - RPM gauge goes to 13,000RPM?! - The interior is STOCK. ...that's right, the car shipped with PINK accented interior from the factory. I'm selling because I don't have the time to love and care for her any more, and I've young kids that I need to focus on. I'm looking for someone who wants fun project car that turns more heads than a Mercedes. The foams/glues used for upholstering the ceilings of cars from the 80's are notorious for failing and is unfortunately common for many cars of this era. It's your choice of putting up new fabric or re adhering the old. Please note, due to work environment, I am unlikely to respond during normal working hours. I apologize for any delays. Those engine numbers sound straight out of a motorcycle... then throw a turbo on it?! It probably sounds awesome. AWD in that little thing must be nuts around the tight stuff.